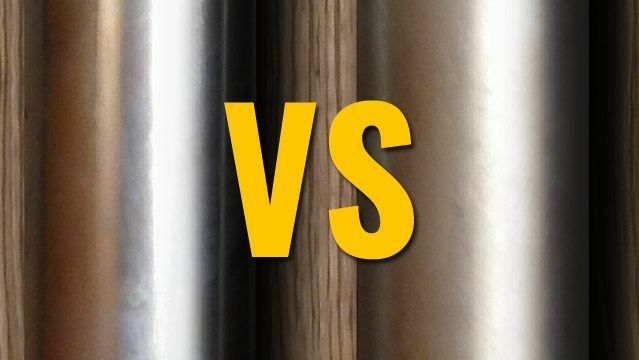 » B, D, E Class props: what is the difference among them? 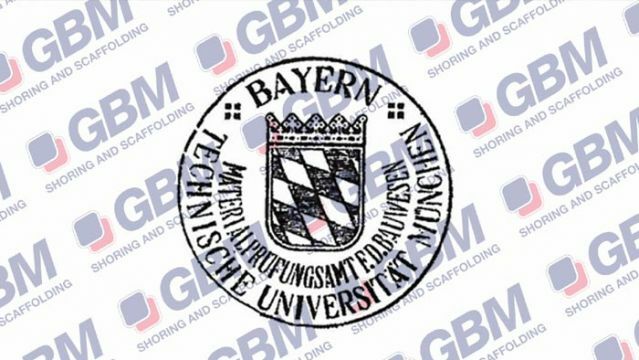 GBM produces three different classes of heavy duty props, subdivided in several different models according to the maximum extension they can reach. 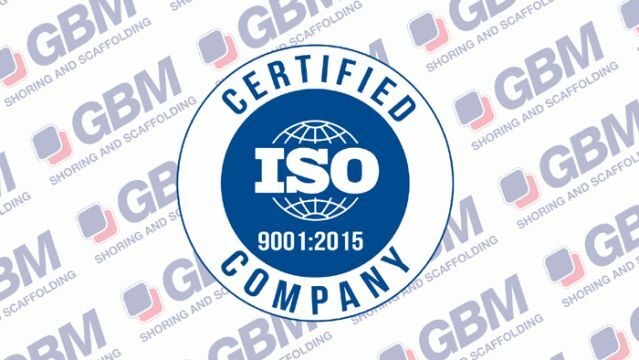 The legislation DIN EN 1065 sets the standards that every component and every characteristic of the props has to meet, among them it is important to note the quality of steel, the data in the marking made by the producer, the extension of the items and above all the key factor: the Characteristic Strength that props need to have. 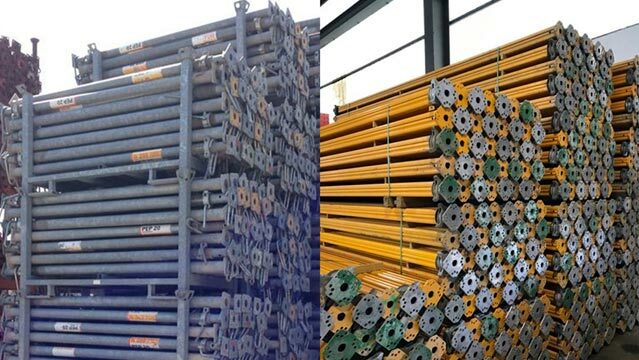 Acknowledging that this is the value that determines the capacity of a prop, that is obtained by dividing the characteristic strength for a factor of 1,65, here are the requirements of the various classes in details. 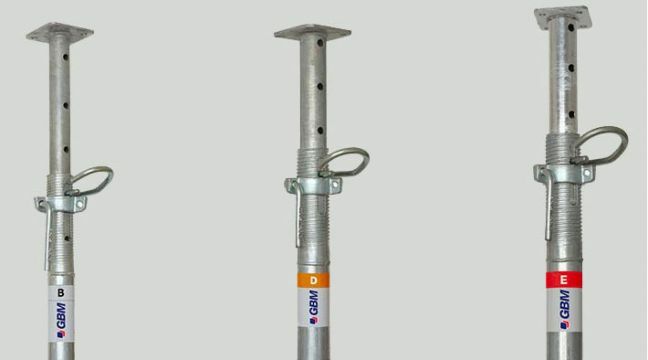 Class B props can only be classed as such if and only if in EVERY extension that they reach, the characteristic strength is higher or equal to the one provided by the legislation; the strength is given by the formula 68,0*l/l^2, where l means the extension of the prop expressed in meters. To understand better what this means practically, creating a graph in which every value of l is substituted in the formula above, we obtain a curved line called line of the characteristic strength of class B props. In order to comply with the legislation, visually speaking, the prop needs to be placed in the area above the curved line (blue). 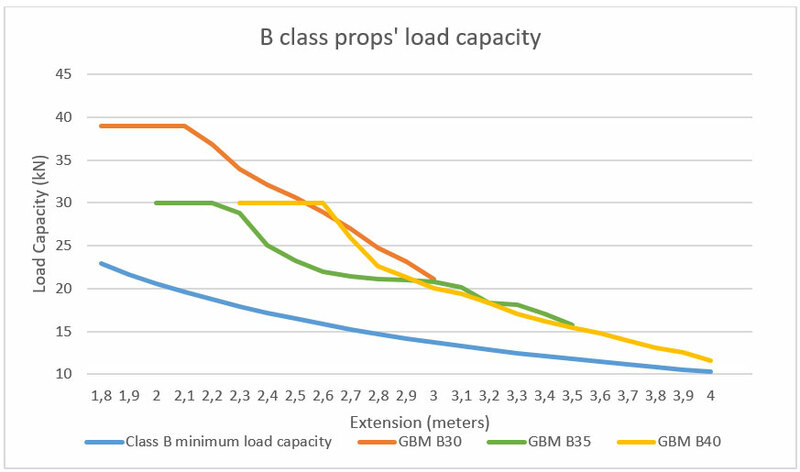 Class B props of GBM fulfil this condition widely, as illustrated by the lines representing these three models B30, B35 and B40. 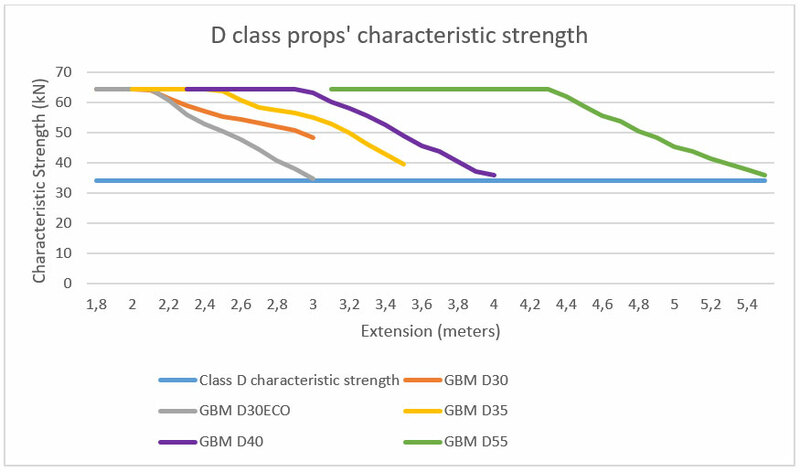 Class D props can only be classed as such if and only if in EVERY extension that they reach, the characteristic strength is higher or equal to the one provided by the legislation; the strength is given by a fixed value of 34,0 Kn. Turning this value into a graph we obtain a straight line called line of the characteristic strength of class D props; in order to comply with the legislation, visually speaking, the prop needs to be placed in the area above the straight line (blue). 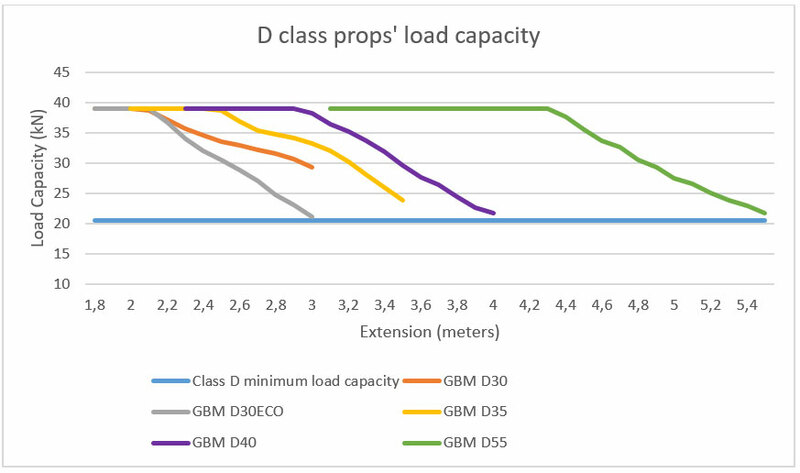 Also in this case, Class D props of GBM fulfil this condition widely, as illustrated by the lines representing the five models D30, D30 ECO, D35, D40 and D55. 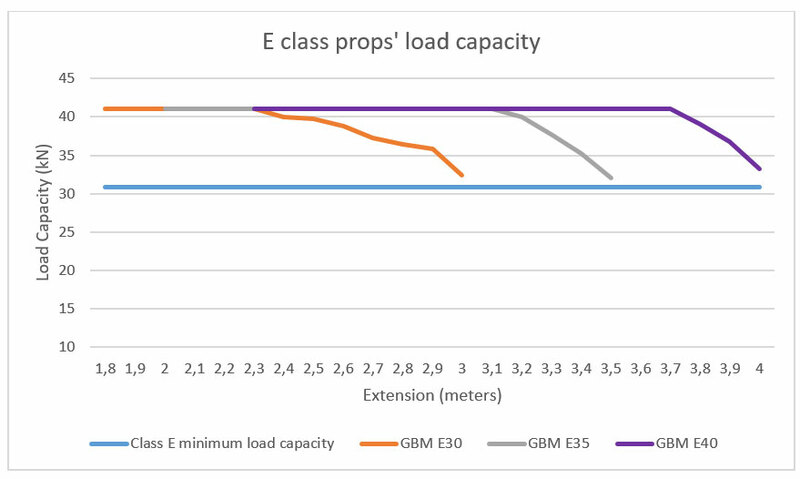 As in the case of class D, Class E props can only be classed as such if and only if in EVERY extension that they reach, the characteristic strength is higher or equal to the one provided by the legislation; the strengths is given by a fixed value of 51,0 kN. 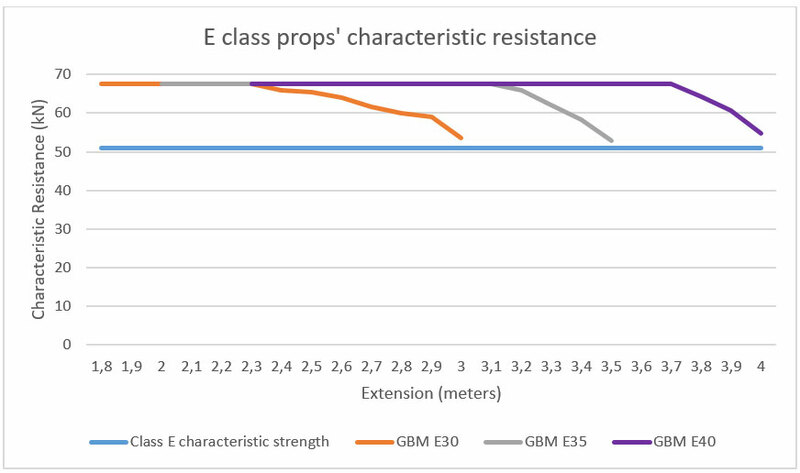 Turning this value into a graph we obtain a straight line called line of the characteristic strength of class E props; In order to comply with the legislation, visually speaking, the prop needs to be placed in the area above the straight line (blue). Also in this case Class E props of GBM fulfil this condition widely, as illustrated by the lines representing the three models E30, E35 and E40. 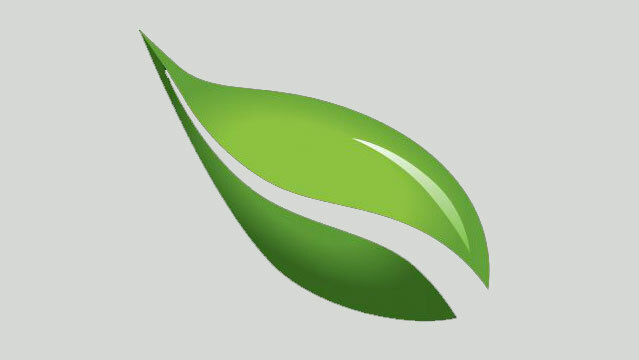 So, is there a way to understand which prop better meets my needs? 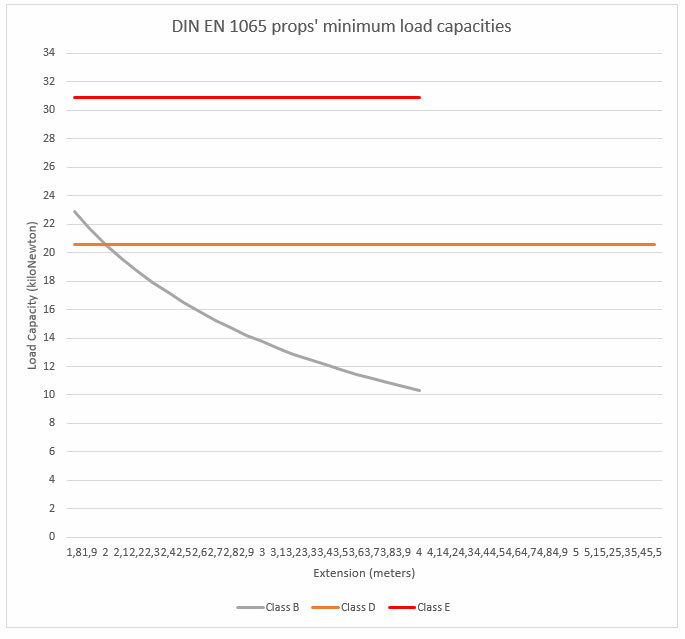 If you already know the extension and the capacity you need even before to use props, then yes, there is. 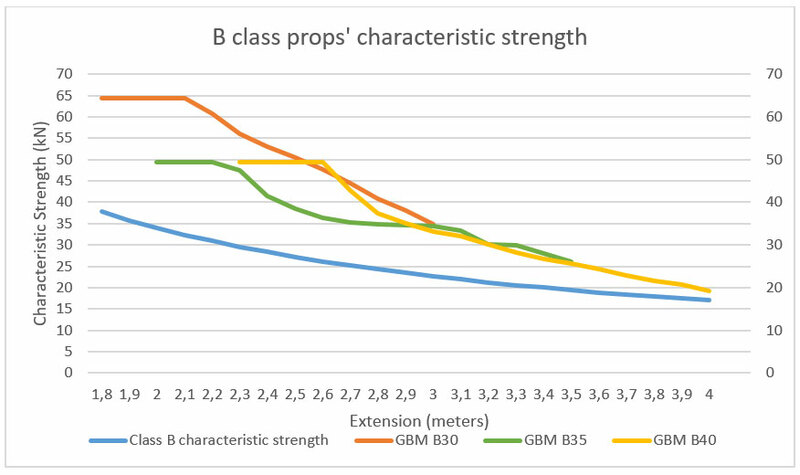 Consulting the table below, it is possible to understand which class(-es) of props is/are the ideal, based on the extension of use and on the capacity needed. 22,8 kN for the model B40. 41 kN for the model E40.